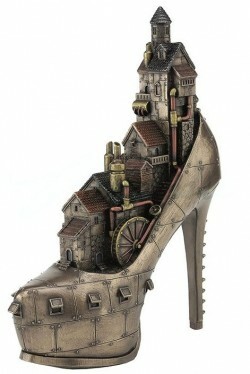 Extremely detailed shoe city. Very unique sculpture gift idea. Solid Cold cast bronze for a weighty collectable display piece.